Three-quarters of the freshman class of Republican Congressmen – the group that was going to change America – succumbed to party pressure and voted to accept the Boehner sellout deal he struck with President Obama. How disappointing for those of us who worked hard to elect them and vested such hopes for change in their candidacies. 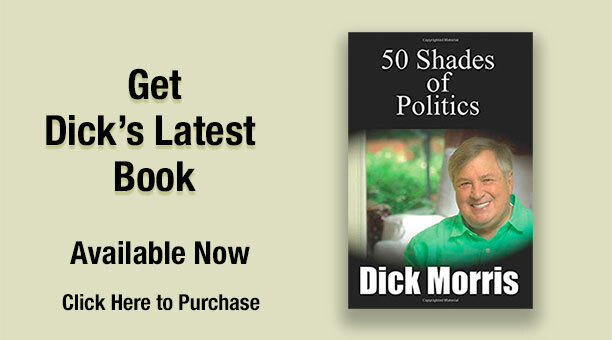 Please go to DickMorris.com for a list of the House freshmen who voted for the Boehner deal – sixty-one of them. The link is in the top left column. Also, please find on our site the names of the 59 men and women of courage and conviction who voted against the sellout compromise. It is not only the paltry nature of the $39 billion in cuts they accepted or even that they broke the basic campaign promise – and premise – on which they were elected, but that they were too frightened to use the lever available to them – shutting down the government. The Republicans would have won that fight. We had hoped that those freshmen who battled the odds so bravely to secure their seats would continue to fight just as vigorously to save America from fiscal ruin, but it was not to be. Theodore Roosevelt said of William Howard Taft that he had the “backbone of a chocolate éclair.” The same could be said for three-quarters of our freshmen. Let’s salute the Congressmen who showed that they would keep their word to their voters. Freshmen Scott Rigells (Va), Steve Chabot (Ohio), Cory Gardener (Col), Morgan Griffith (Va), Andy Harris (Md), Robert Hurt (Va), Raul Labrador, Steve Pearce (NM), Scott Tipton (Col), Alan West (Fla) and Ben Quayle (Ariz). For the others, we apologize. If they continue to act as pawns for the Speaker, we need to admit that we should not have asked you to donate funds to them or to help them get elected. And we won’t again.